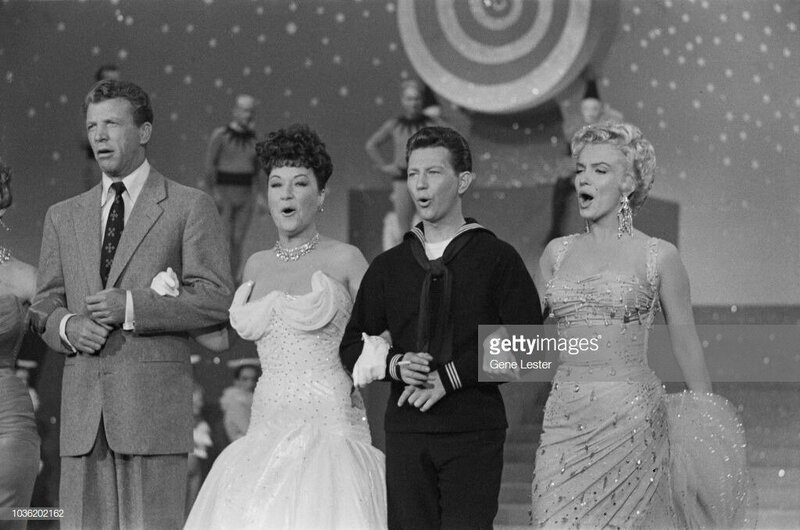 Tournage de la scène finale du film "La Joyeuse parade" le 9 août 1954, où les acteurs chantent "There's no business like show business": Marilyn Monroe avec Donald O'Connor, Johnnie Ray, Mitzi Gaynor, Dan Dailey et Ethel Merman. 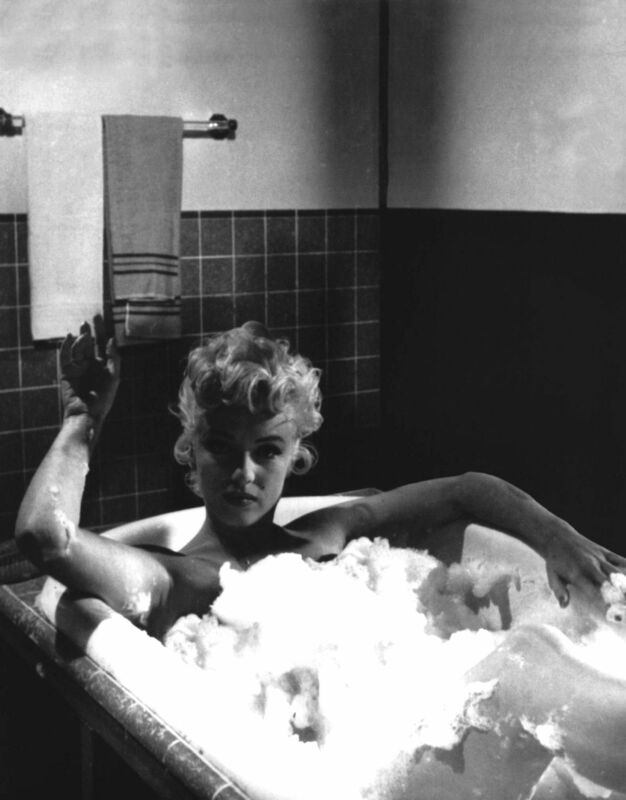 Photographies de Gene Lester. 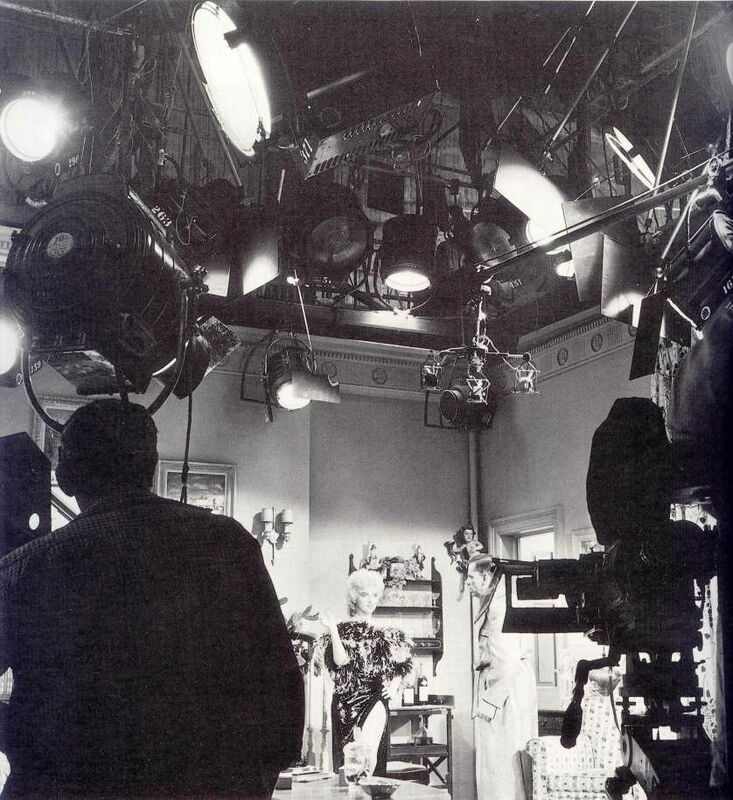 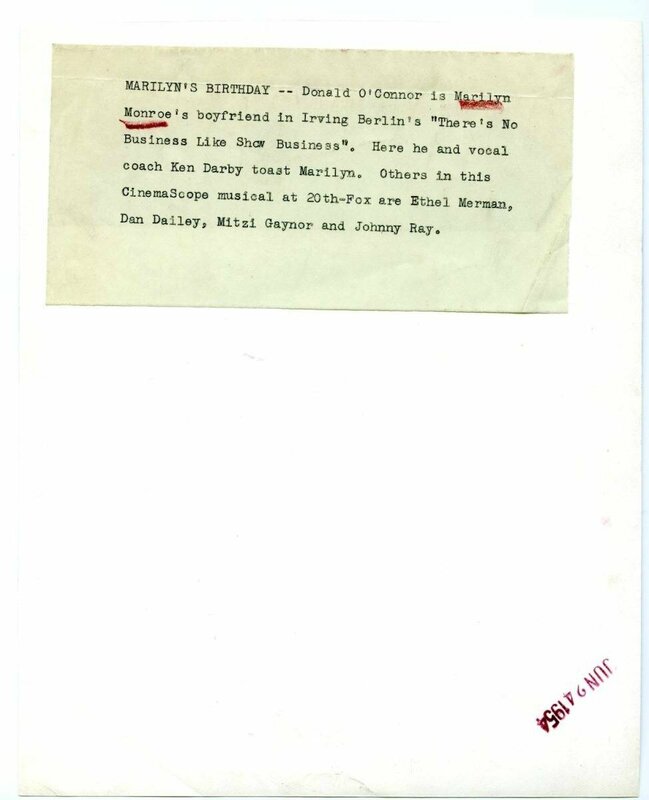 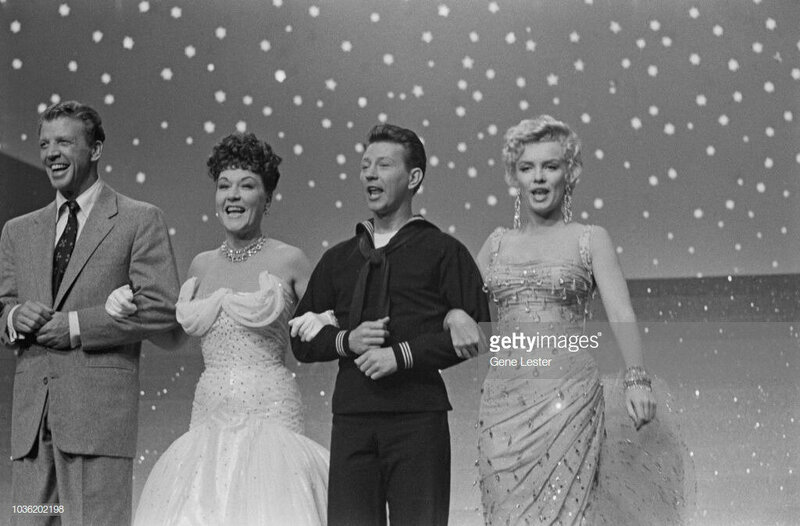 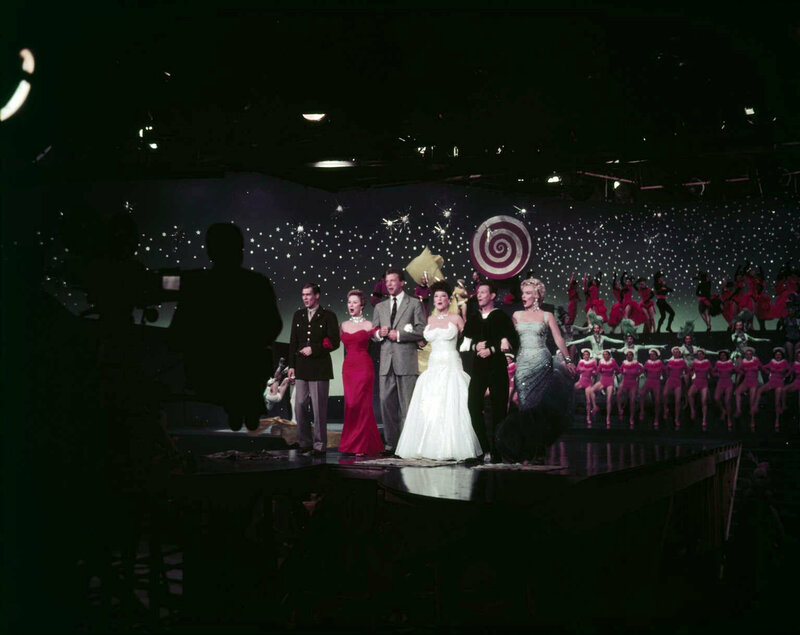 Shooting of the final scene of "There's no business Like show Business" in August, 9, 1954 where actors sing the song (title of the movie): Marilyn Monroe avec Donald O'Connor, Johnnie Ray, Mitzi Gaynor, Dan Dailey et Ethel Merman. 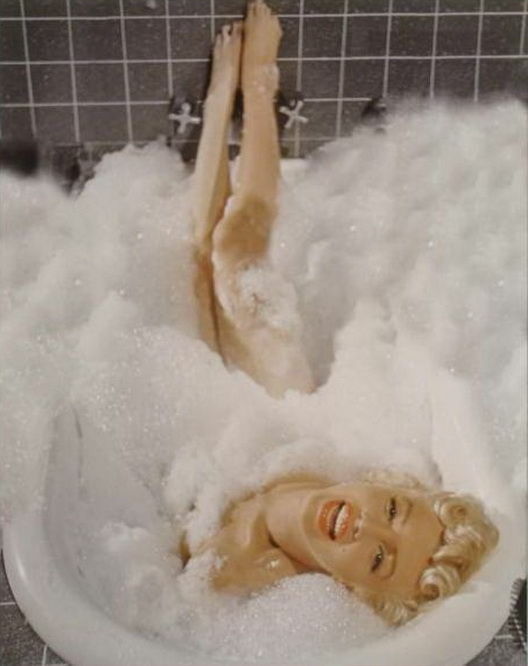 Photographs by Gene Lester. 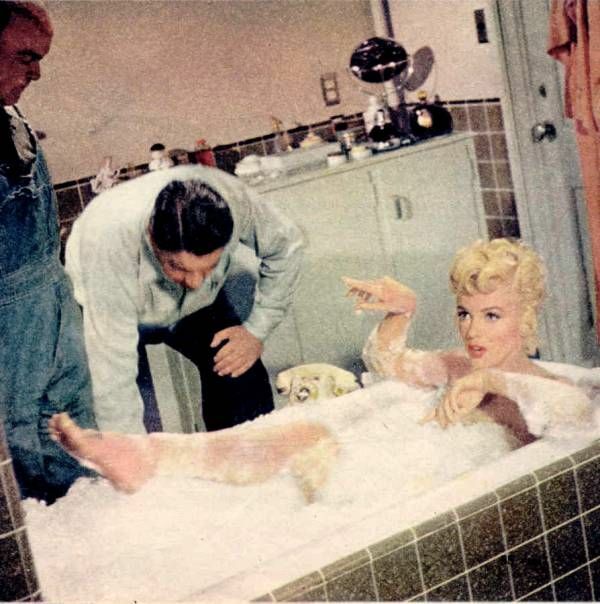 Le 26 août 1954, Marilyn Monroe pose pour les 'tests' costumes et maquillage pour le film Sept ans de réflexion. 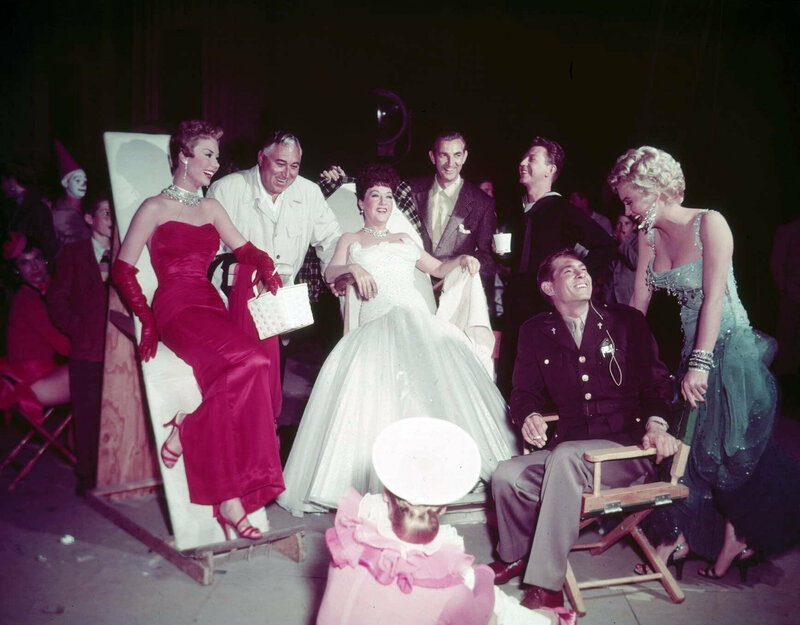 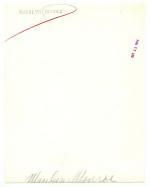 Le costumier est William Travilla. 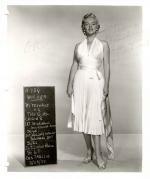 On August, 26, 1954, Marilyn Monroe poses for the costumes and makeup 'tests' for the movie The Seven Year Itch. 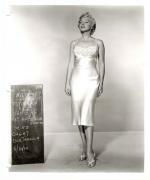 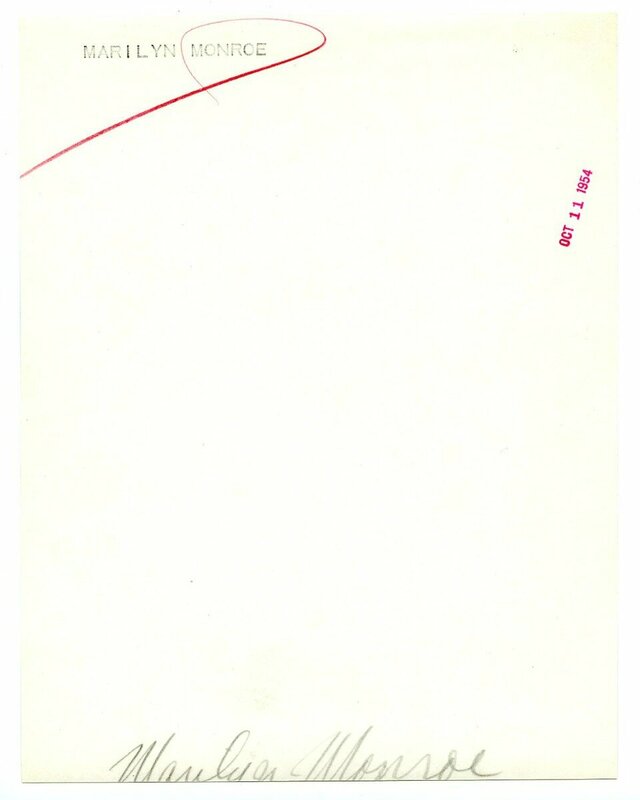 The designer is William Travilla. 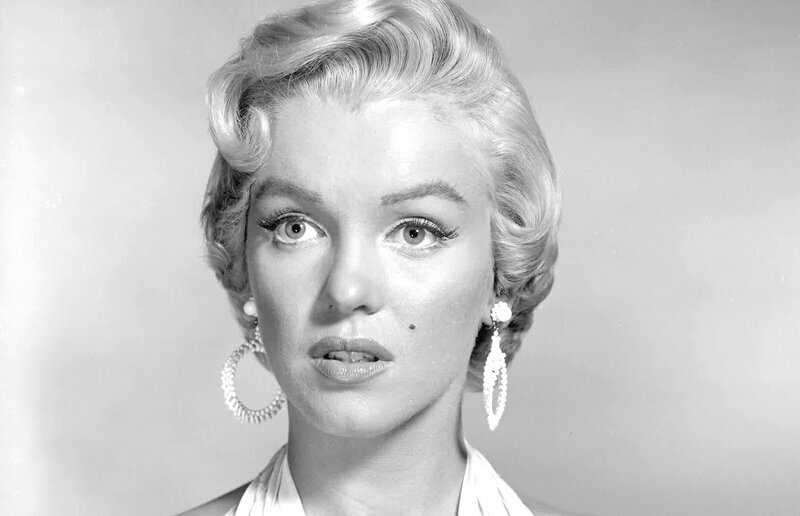 Le 28 août 1954, Marilyn Monroe pose pour les 'tests' costumes et maquillage pour le film Sept ans de réflexion. 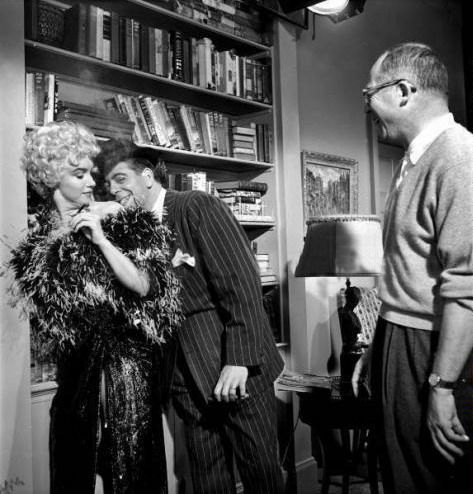 Le costumier est William Travilla. 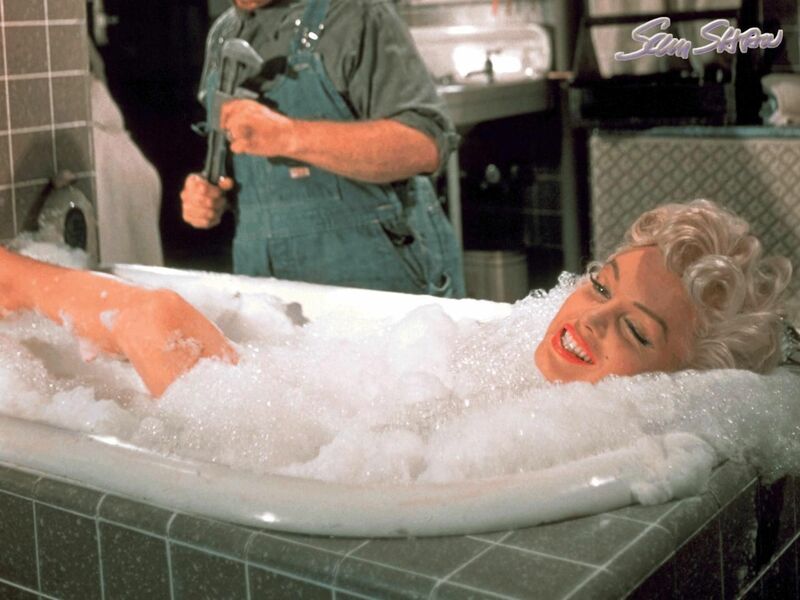 On August, 28, 1954, Marilyn Monroe poses for the costumes and makeup 'tests' for the movie The Seven Year Itch. 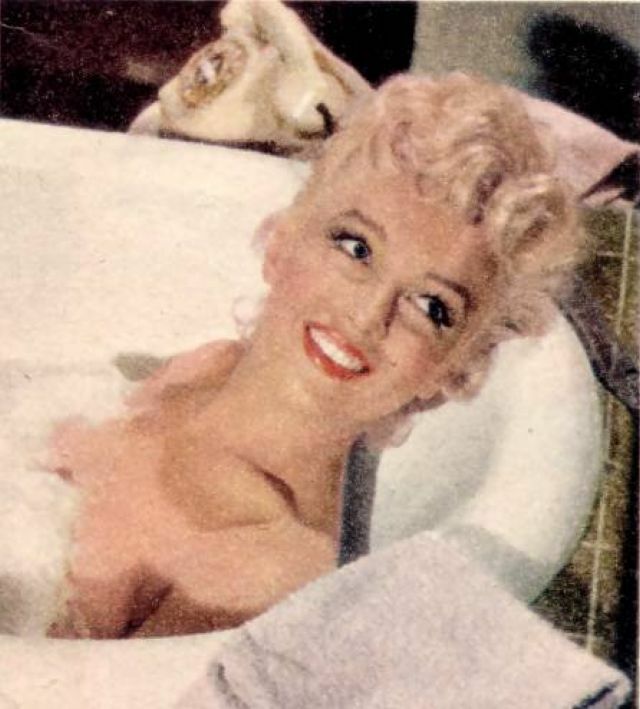 The designer is William Travilla. 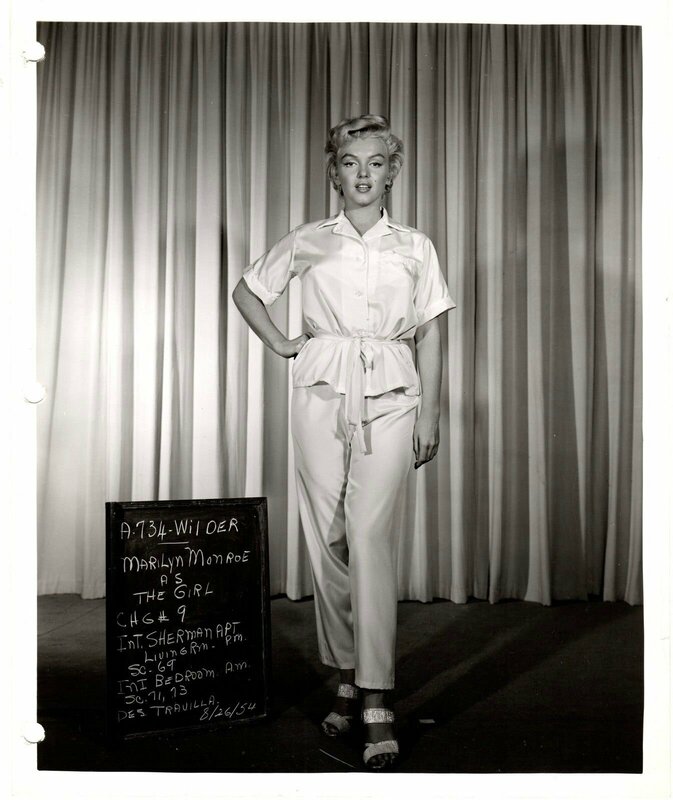 Le 13 septembre 1954, sur le tournage de Sept ans de réflexion, Marilyn Monroe pose pour un test maquillage. On September, 13, 1954, on the set of The Seven Year Itch, Marilyn Monroe poses for a makeup test. 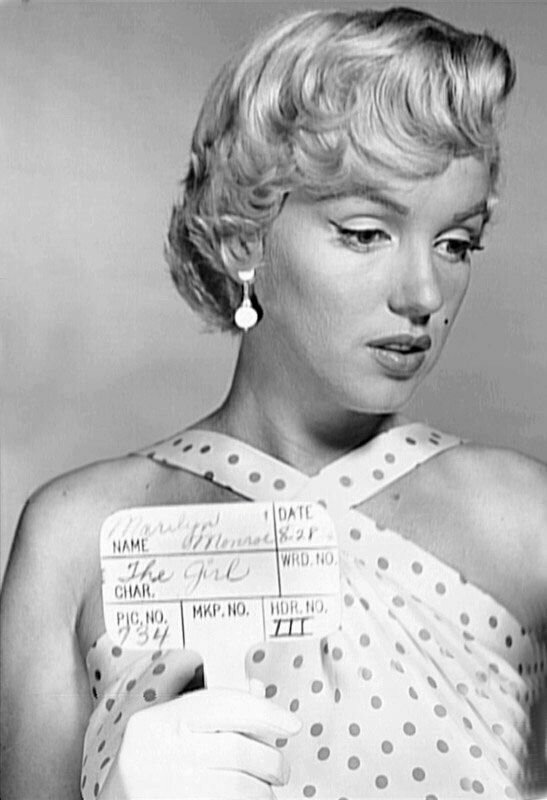 Le 21 octobre 1954, sur le tournage de Sept ans de réflexion, Marilyn Monroe pose pour un test maquillage. 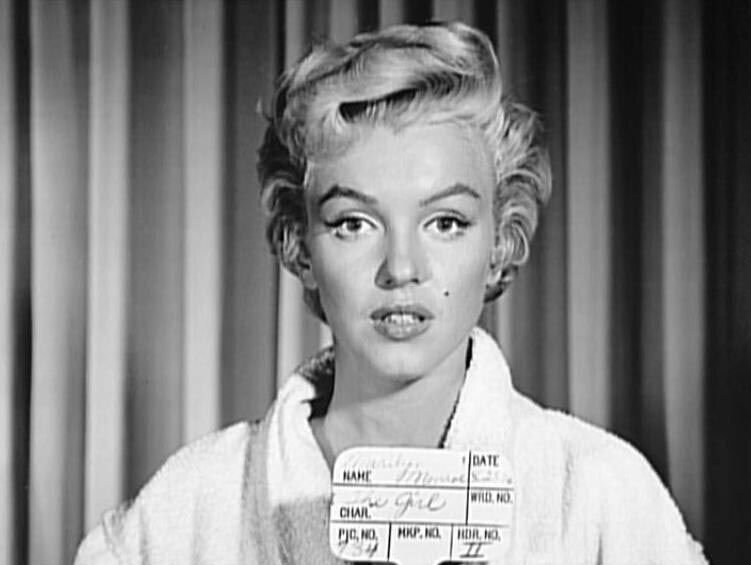 On October, 21, 1954, on the set of The Seven Year Itch, Marilyn Monroe poses for a makeup test. Le 26 octobre 1954, sur le tournage de Sept ans de réflexion, Marilyn Monroe pose pour un test costume (en nuisette en coton) pour l'une des scènes du film. 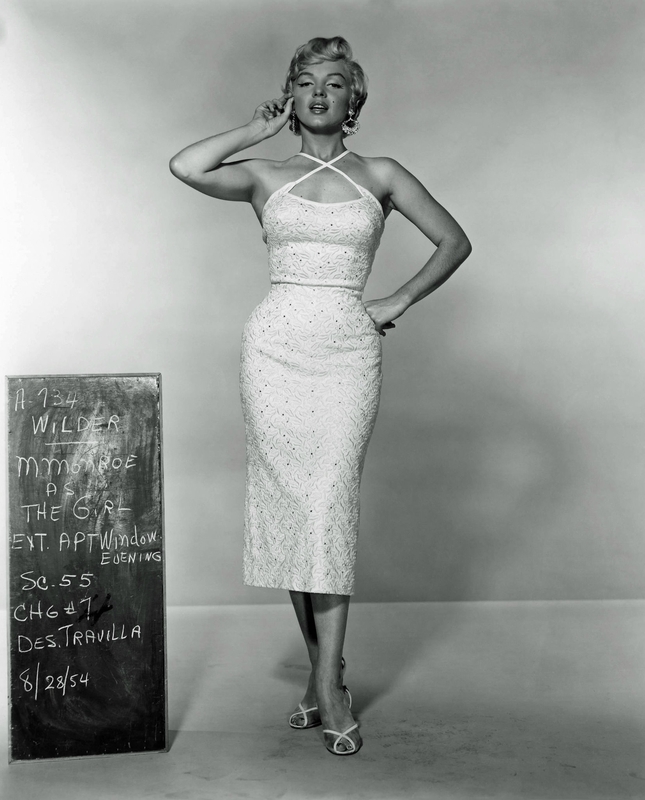 Le costumier est William Travilla. 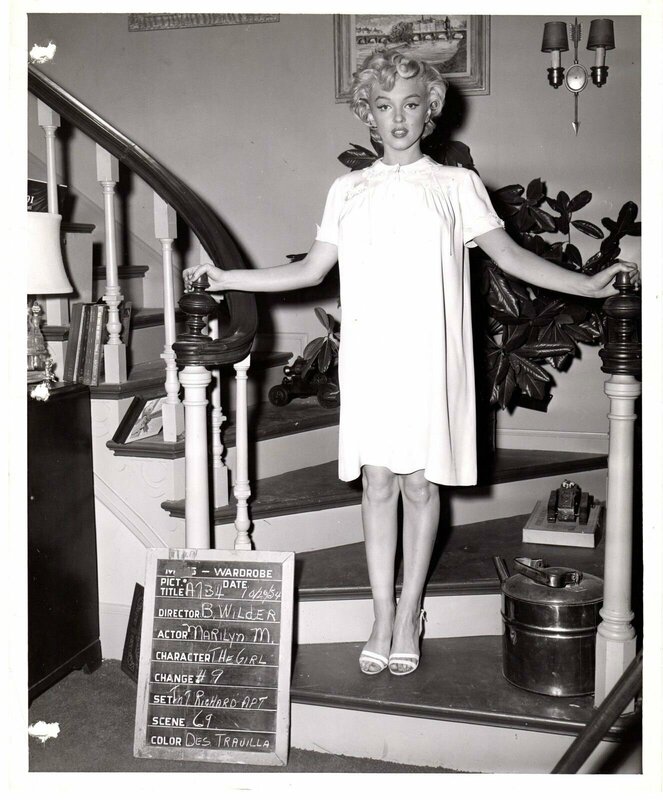 On October, 26, 1954, on the set of The Seven Year Itch, Marilyn Monroe poses for a costume test (in a coton nightie) for the movie's scene. 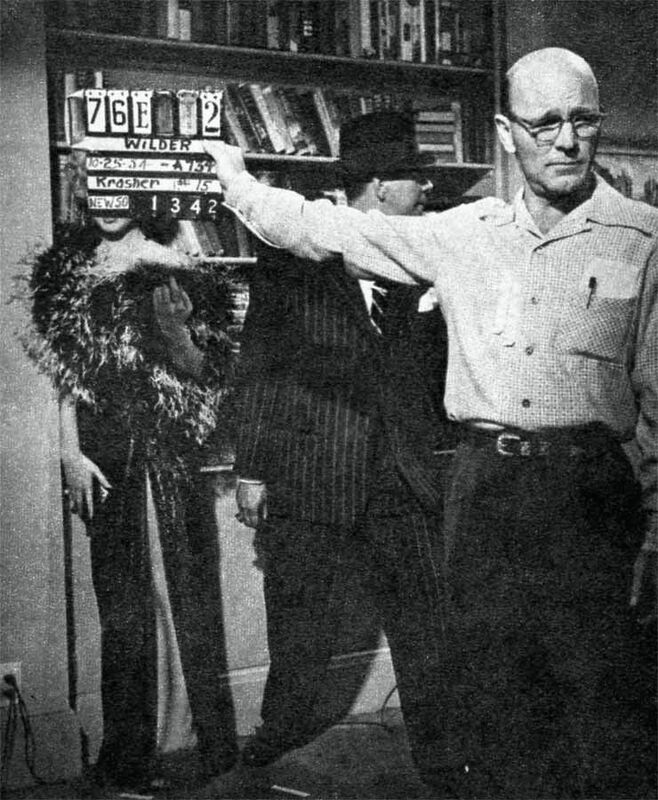 The designer is William Travilla. 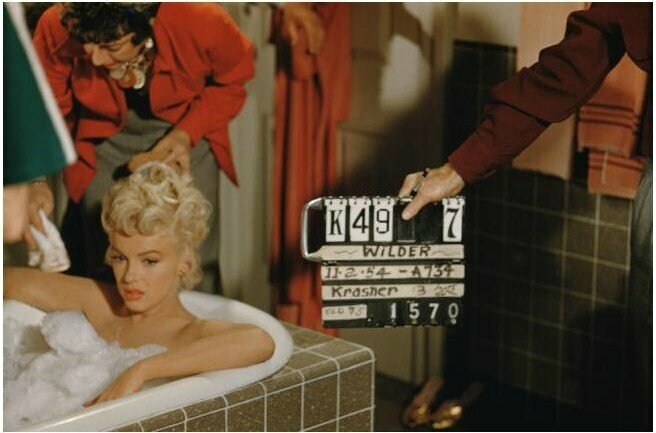 Le 2 novembre 1954, Marilyn Monroe sur le tournage du film "Sept ans de réflexion". 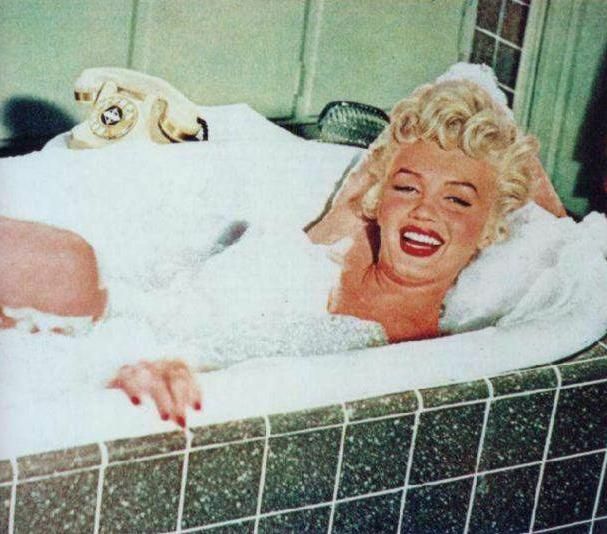 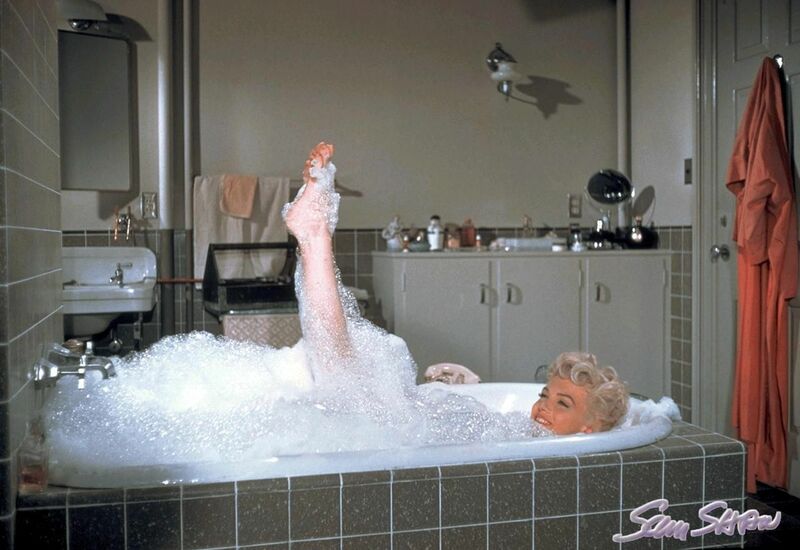 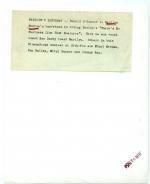 In November, 2, 1954 Marilyn Monroe on the set of "The Seven Year Itch". 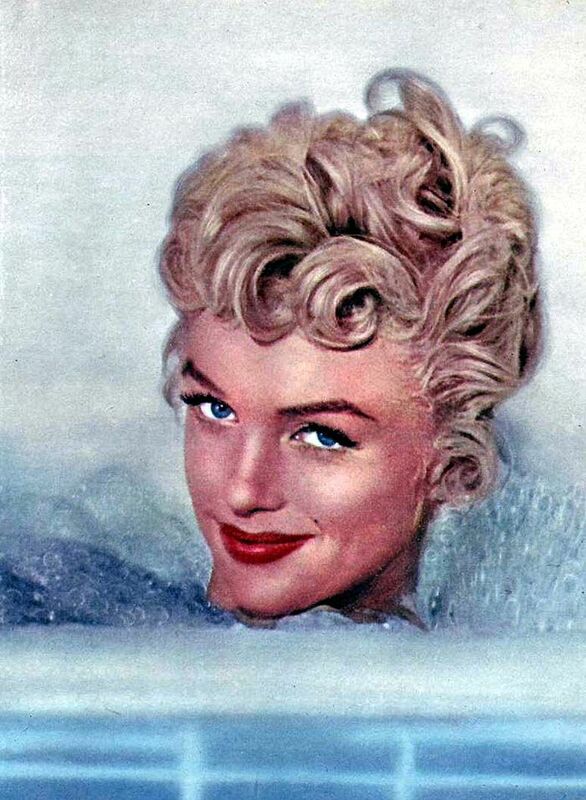 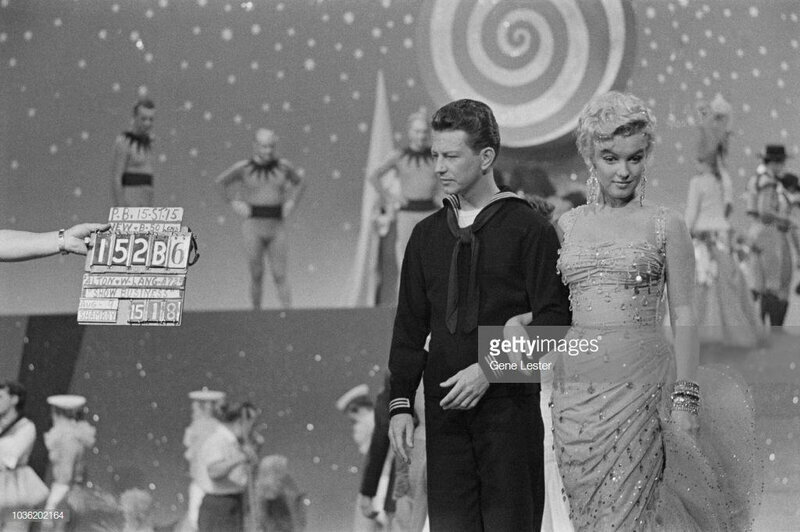 01/06/1954 Sur le tournage de "There's no business..."
Le 1er juin 1954, Marilyn Monroe fête ses 28 ans sur le tournage du film "La Joyeuse Parade" avec Donald O'Connor et son professeur de chant Ken Darby. 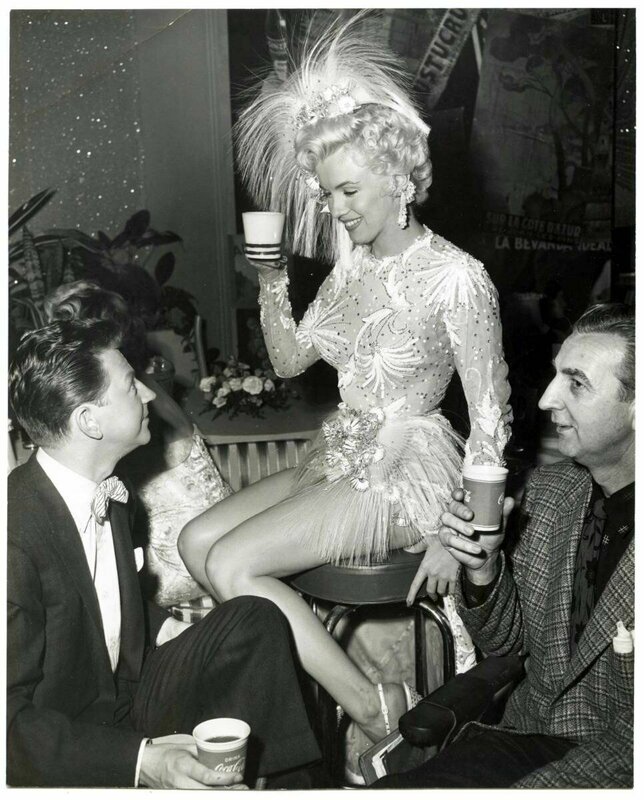 In June, 1st, 1954 Marilyn Monroe celebrates her 28th birthday on the set of "There's no business like show business" with Donald O'Connor and vocal coach Ken Darby. 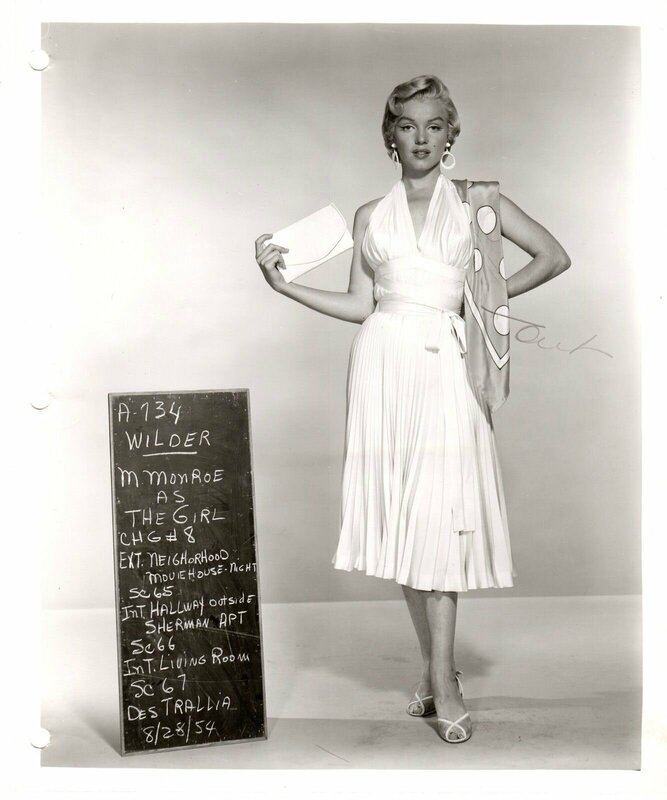 11/10/1954 Sur le tournage de "There's no business..."
Le 11 octobre 1954, Marilyn Monroe sur le tournage du film "La Joyeuse Parade". 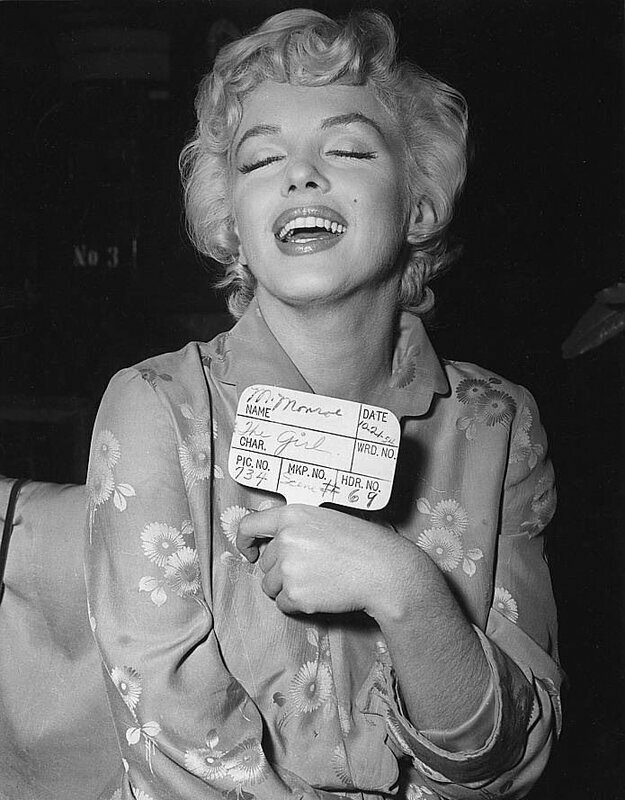 In October, 11, 1954 Marilyn Monroe on the set of "There's no business like show business".